It’s a bit dull for you in the kitchen this week. All I am doing is batch baking for the Christmas Treat Boxes – I am actually getting a little callus on the side of my thumb where I hold the cookie cutter! I have manages to keep the spinach one a bit more green though. Suddenly had a brain wave – couple of minutes in the microwave. Don’t know why I didn’t think of it before – works great for the apples too. I took last week off baking – I had quite a bit of stock and it was too early to start on the Christmas boxes. What do you know? – this week has gone crazy and I am going mad trying to keep up. As it’s getting colder I can get the oven ‘drying’ done more – so Jerky is back on the menu! Alfie goes absolutely nuts for these! They are really sweet and woody and he would eat the whole lot in one go! It’s all quiet in the Posh Dog Summerhouse – apart form the chomping. 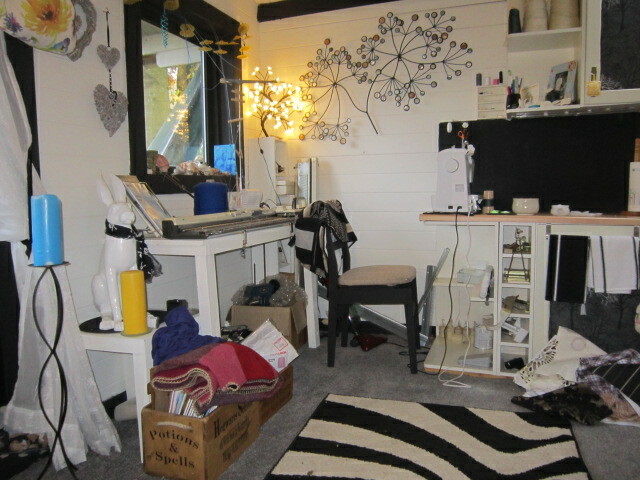 The studio is now fully redecorated – just a tiny little bit of trim to add – and I think I may add hang a couple of naked light bulbs for the dark winter months. I hardly used it last winter as I was so rough – I will need a good light to work by. I am so pleased with it. I am not baking this week. It has been really quiet in the shop this week and I have winter coat orders starting to com in. 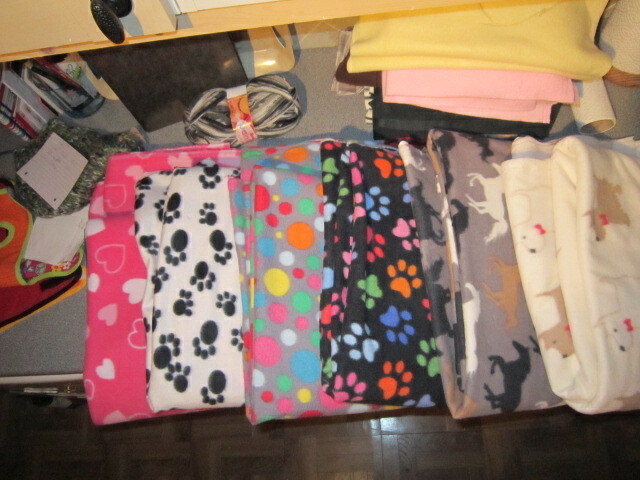 I have new fleece – some novelty prints and some tartan, plaid and Argyle. Checks are all the rage for this season – you can’t beat a good tartan! If you have a looooong, skinny dog – or a rOund, short dog and would like me to make to order – I don’t charge extra for commission work – it’s what I am doing every day anyway – just contact me. If you would like to browse in the SHOP – keep an eye out for the new fleece and waterproof coats. I may have to experiment a bit to keep the green colour. The testers enjoyed them though – that’s what really counts. 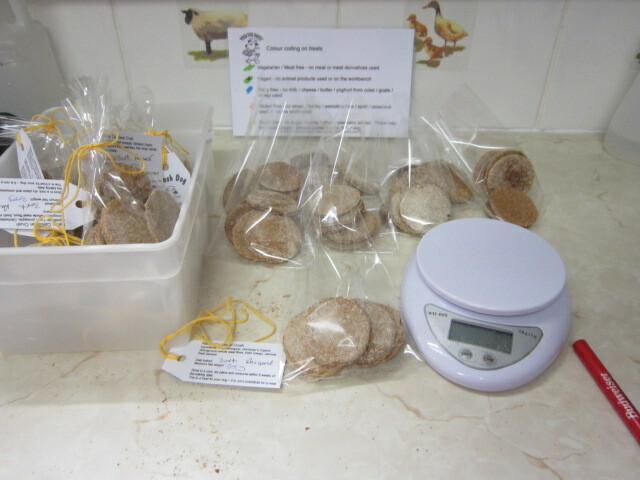 From 1st November (shelf life of the treats until Christmas!) the Christmas treat menu will be available. 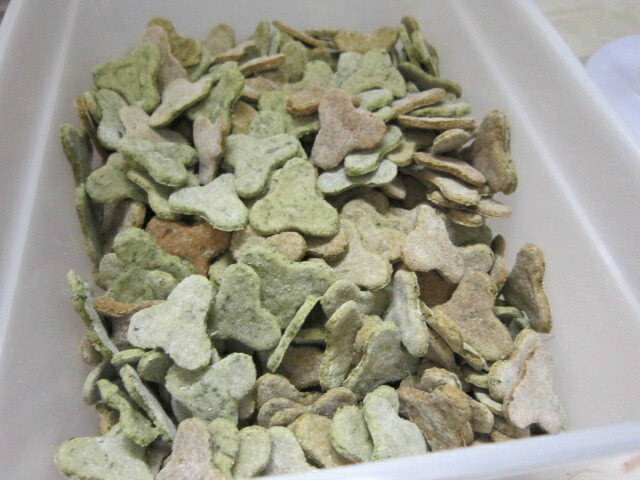 They will be available individually – as a treat box – or in a stocking with a toy. 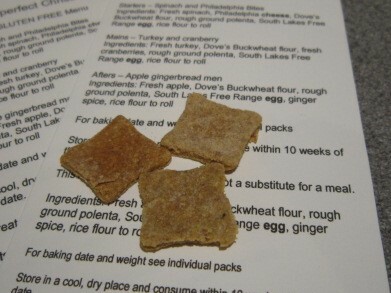 Store in a cool, dry place and consume within 10 weeks of the baking date. 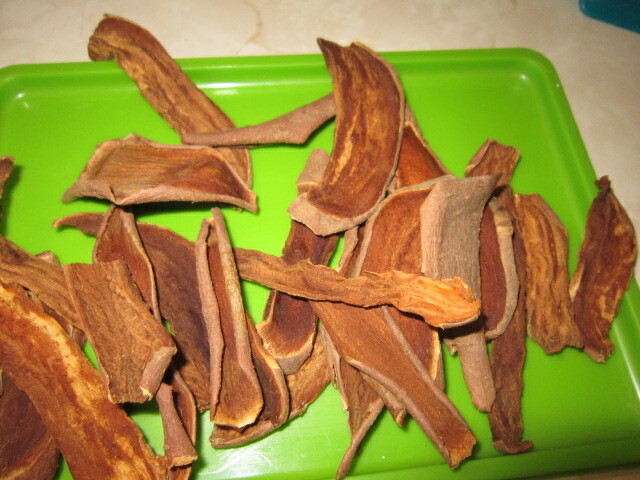 This is a treat for your dog – it is not a substitute for a meal. 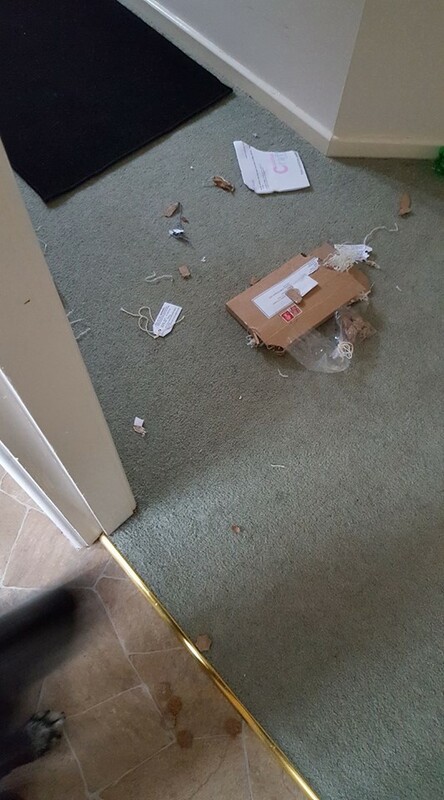 This is what happens when your dog beats you to the treat box!!!! Huge thanks to those of you that passed on advice and tip bits! We are making huge progress. 5 months on from me getting Alfie – he is now 16 months old. He is now dry in the house (such a relief!!!!!!!) – almost paper trained for his ‘jobs’ – but now goes in the street on the way to work! He has made a few doggie friends – and now is starting to make human friends. We are through all the panic attacks and night terrors – still have food / kitchen issues (I think noises may be a big part of this) – and wide space issues to cop with. 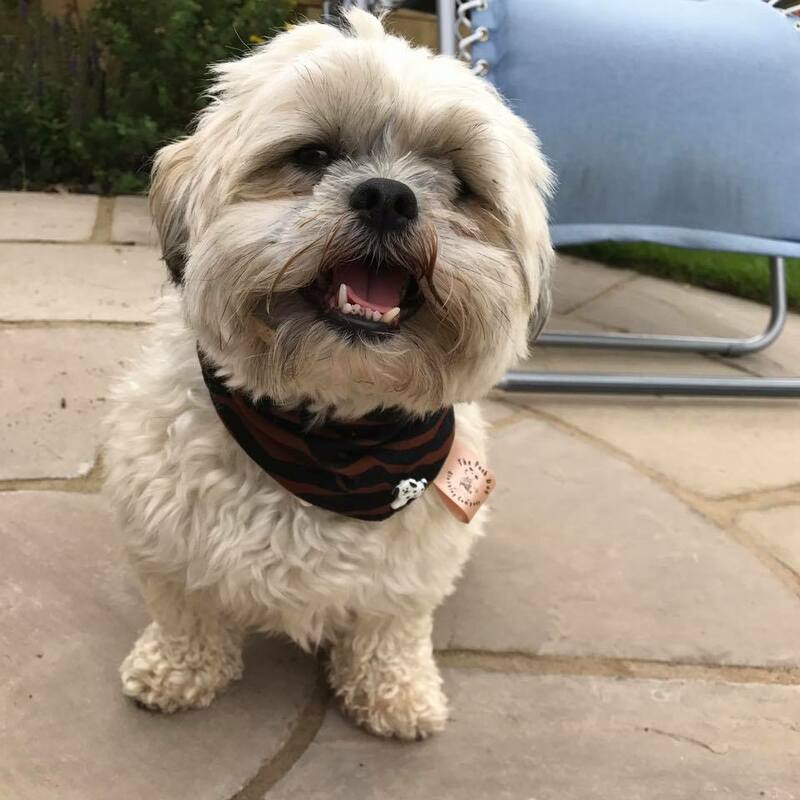 We recently had a big festival in the town and Alfie had to face walking through the most people he had ever faced – and a long walk to the car – he has ever faced. Yes – total panic – and so hard to lead work (me – a wreck!!!) – BUT – really in a really short recovery time – and no overhanging panic issues – did not hide when we got home – all he wanted to do was play. His whole stance is so much more confident – he has to go to my shop everyday to work – my customers have been amazing in taking it all on board and are really helping him – and he is really working hard to do stuff. Luckily I lead a really calm, peaceful life – so he knows how things work. I just can’t believe the progress we have made in the past 6 months to turn around this scared little wreck into a confident growing puppy. It sure has been stormy this week – and that’s an understatement! Alfie has been with me for almost 6 months now so her’s a quick little round up of his progress. We are through the panic attacks – the night terrors – and he has the muscle control not to wet himself every time someone talks to him. He is dry in the house now – which is a huge relief I can tell you! – and he is almost there with his paper training. It’s hard to find different, stimulating activities for him as still has outdoors fears – so this week we had a bath. He has quite a tight medication routine to solve some of the health difficulties he may have after his rough start – so there are only a few days in the month before he has his topical treatment that he can have a good scrub. He seemed to really enjoy it! He was a bit panicked when I lifted him into the water – but he soon settled and was perfectly still with no shaking while I was pouring the water over him – and the loved the soap rubbing! 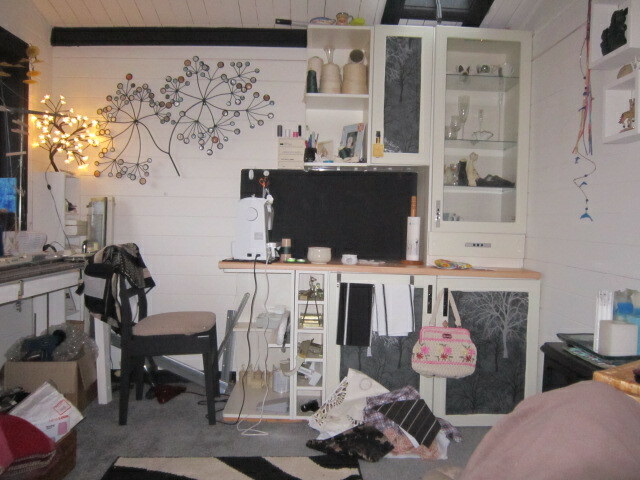 Between a shop refit – and internet hell I have been MIA for – EVVVVVVER – well it feels like it anyway. and huge apologies for being away – will I improve )probably not( !!! But – there is loads of Posh stuff going all the time!!!! Running very low on treats, they are doing so well now. I really need to do a week of baking every night but I don’t have the energy at the moment. This week I have revisited the ‘Just Carrot’ – gone gluten free – and left the carrots rough instead of pureeing them. It’s really pretty to see the little strips of carrot in them. I have to apologise – my posting is all over the place at the moment. There is so much going on in the shop – and my Fibro / ME is playing up something wicked – I am just not getting through all the jobs. I have opened the order books for the coming winter coat season and I am filling up already – so shout before I get swamped. I have just finished this dressing gown for a huge ball of fluff that feels the chill after a bath – and being a real mucky pup – he’s always in the bath! This one has a back length of 18″ and is made from an 80% cotton towelling so it will soak up the damp. There is a big, baggy hood so he can get his ears dry too! The last little useable bits have gone into a couple of poo bag holders and a couple of key fobs. These last bee goodies will be in the shop soon!!! Anyone who makes scented candles – or soap – should make a peanut butter scent. I have been baking with peanut butter all day – and the house smells amazing!!! Bit of work still to go in to the proportions – peanut butter is such an odd thing to work with. All the tester don’t seem to mind though – it’s gone down very quickly. I also had a try with coconut oil. First time I have used it – but everyone keeps going on about it and I have never tried it. Don’t like it – won’t be swapping my olive oil. It is way too heavy and greasy for what I want – and it’s not a wet enough ingredient for something that is wet and not a solid. I will use the rest of the jar up in a human bake that needs butter – that may be better. Second bake – luxury ‘chocolate’ cookies. There are some really pretty fleeces about for the coming season – can’t wait to cut them up!!!!! honestly – I think I should sack my ‘tester’ dogs – they just love everything!!! This week I have come up with a new invention – Caribbean Crush. It’s pineapple – mango and banana – and the dogs can’t get enough of it!! This is the weighing station – the final part of the process. I think I am finally there with all the labeling – I have just started to add colour coding so you can see at a distance the different types. This one is not Gluten free – but it is vegetarian – and as there are no egg in it – it’s vegan too. Gosh we have come along way! 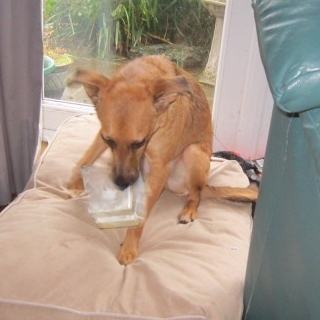 She had a box of treats too – and was over the moon at that!